EDITOR’S NOTE: THIS POST ORIGINALLY APPEARED IN FEBRUARY 2015 AS THE 3RD INSTALLMENT OF THE “IN MY CLASSROOM” SERIES. KABT MEMBER IN EXILE, CAMDEN BURTON, SHARED THIS ACTIVITY WHERE HE HAD HIS STUDENTS COMPARE AND CRITIQUE MODELS. ENJOY THIS KABT CLASSIC! Thanks to a little idea from Brad I thought I would try something with my AP Biology students this week that I saw him try with his BIO 100 students at KU earlier. Two different models of the same process. Nothing earth-shatteringly innovative but how I framed it and worked with it was unique to me. I didn’t just say it was a worksheet to complete. I framed it as 2 different models of the same process. If they wanted to use the picture in their book that was ok because the diagram in their Campbell book also looked different. What I was surprised with was how much students struggle translating [pun] knowledge across models. 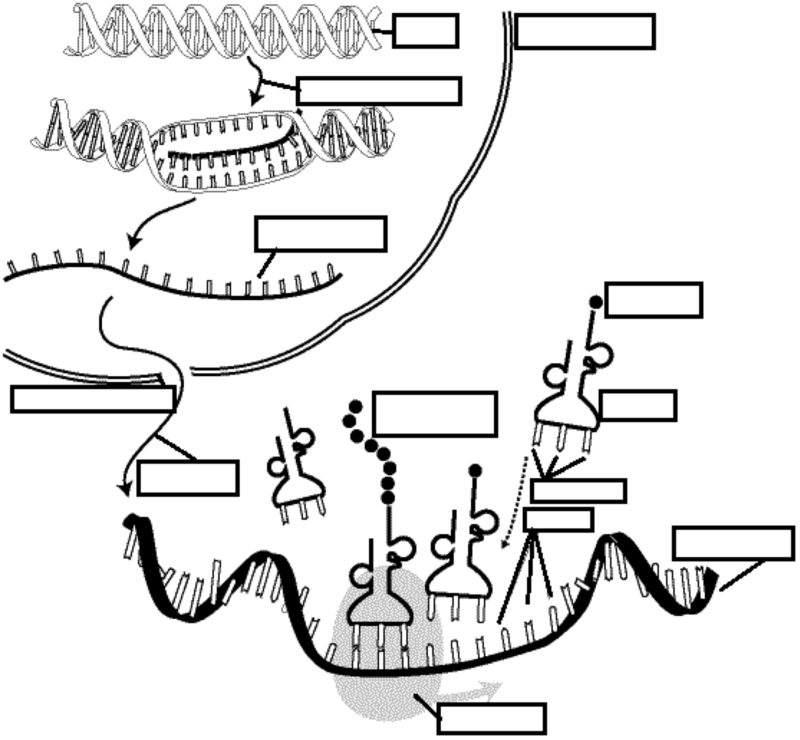 Students struggled with labeling processes versus structures, labeling the same structure that was differently drawn in two models, and especially when one model added or removed details (like introns and exons). The other cool part was that afterwards when students shared their answers on the board, they had lengthy discussion about what was “right”. For example, two students argued whether the 4th answer from the top was “pre-mRNA” or “mRNA” and explained why they thought that. After looking to me I shared that by their explanations both could be right. That’s what I think was cool, students argued different answers where with the proper explanations, either could be right. So because of that, I would avoid giving an “word bank”. Also, at the very end I created a list on the board titled “limitations” and I had them share what was limiting about these diagrams. Some thoughts were “no nucleotides were shown entering RNA polymerase”, “no other cell components were shown”, “the ribosome on top only had room for one tRNA”, “no mRNA cap or tail were shown”, and many more. I found this exercise useful because I struggle giving students modeling opportunities (especially non-physical ones) and this was a simple way for students to get practice comparing/contrasting models while also discussing the usefulness and limitations of them. Alright, for the 4th installment I nominate el presidente himself, Noah Busch.